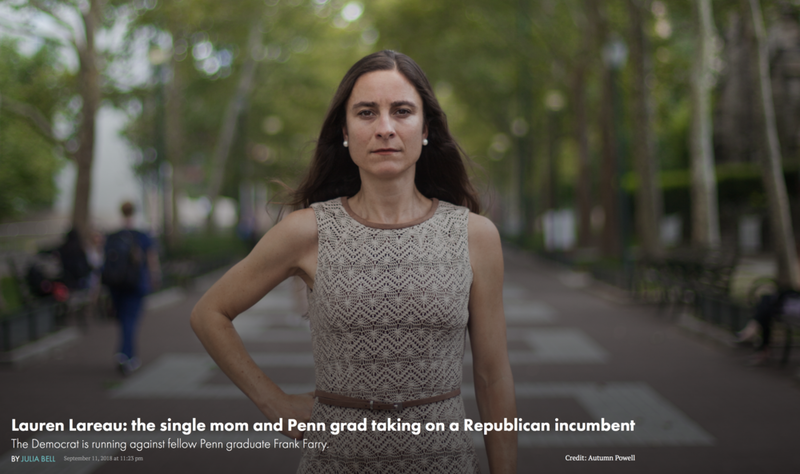 We are proud to announce our endorsement from PennEnvironment! Their endorsements are meant to help voters know how to cast their ballot for the environment on November 6! 34st Magazine profiles Lauren as part of the wave of women running for office—at all levels—for the first time in 2018. Read how Lauren’s experience in the health care industry has shaped her vision of affordable healthcare. We now have our THIRD ENDORSEMENT from FLIPPABLE, a nationwide organization that focuses on flipping state legislatures from red to blue. They target states with the worst gerrymandering and voter suppression, and unfortunately, Pennsylvania is one of those states. But on November 6, we can change that! Our campaign received our SECOND ENDORSEMENT from EQUALITY PENNSYLVANIA & EQUALITY PA PAC! This organization fights to make Pennsylvania a safe and welcoming place for members of the LGBT community. I am #proud to be a part of the fight for equality and look forward to taking the fight into Harrisburg. Today we received our FIRST ENDORSEMENT from EVERY DISTRICT! This organization helps match donors to Democratic candidates across the country. This is a crucial endorsement, and they rank the 142nd district as one of the most winnable districts in their map, with a one-point edge on my opponent! Lauren Lareau has issued a release condemning the unacceptable remarks made by gubernatorial candidate Scott Wagner, to Governor Tom Wolf, on October 12.